Yet another week has flown by! We’ve had a marvelous spring break, and I hope you all are getting to enjoy some spring weather where you are! (Unless you are in Australia, where I believe it is fall — hello, and enjoy that, too! 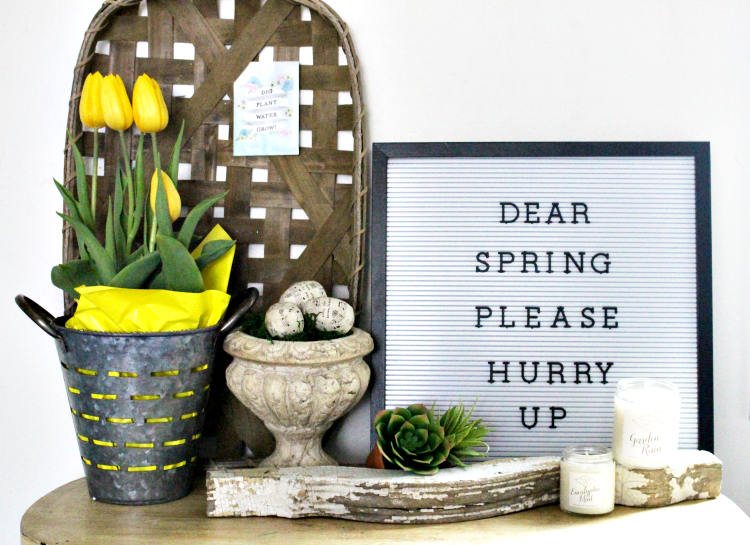 First up: We are hosting another DIY challenge (like this and this) and this time it’s an OUTDOOR challenge, here on the blog and over on YouTube, in one month, on May 5th. The Get Out! outdoor DIY challenge (as we’re calling it) is to create a beautiful outdoor space or project and share how you did it — that’s it! We will each post our projects and videos on the same day (May 5th at 10 AM) and cross-link to show off all the projects. If you’re interested in joining up or have questions, drop us a line at hello@remodelaholic.com and mention the outdoor challenge, and we’ll get you the details — photos and links will be due before the big post day, so if you’re interested, you must let us know before April 13th so we can have you on our list. Nextly: This week will be our last Remodelaholics Anonymous link party… but don’t be too sad because we’re just moving it to a new Facebook group for bloggers! Our goal is to have a group of like-minded DIY bloggers where we can share awesome projects like we’ve done in the link party while also supporting each other and collaborating. 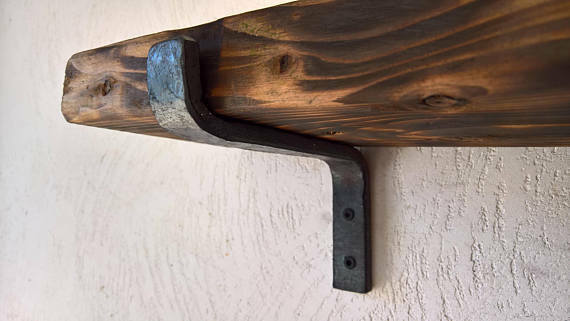 So we’ll be doing weekly threads, similar to this link party, to see and share each others’ projects, and we’ll still be featuring our favorites in our Friday Favorites here on the site as well as on social media. If you’d like to join us there, click here to join the group. We’ve also created a new Remodelaholics Anonymous “support group” on Facebook for anyone and everyone (no blog required) to ask questions and share in the wonderful community of fellow Remodelaholics. Click here to learn more and join the group. We’re so excited for these new groups and changes, and we’d love to hear what you think, too. Now, on to the favorites for the week… some spring decor, some decor finds, and some great ideas, as always! Is it really spring without succulents? 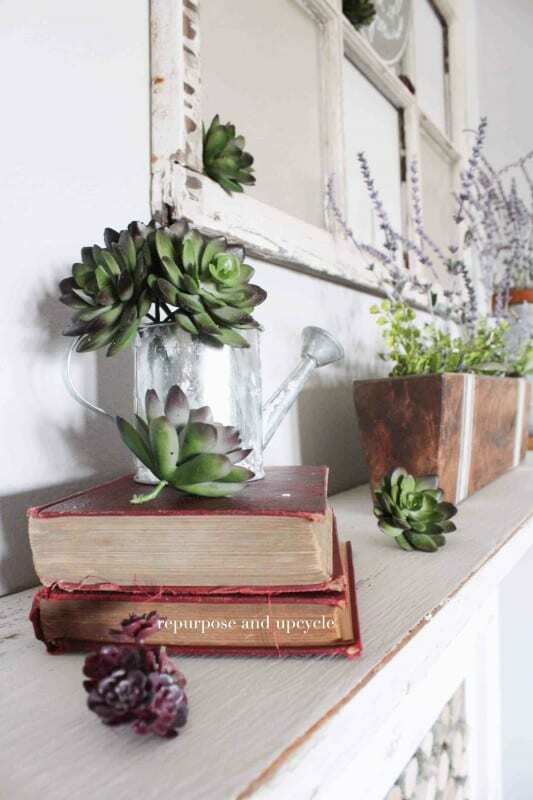 Repurpose and Upcycle combined some vintage finds with some faux succulents for a cute spring mantel. 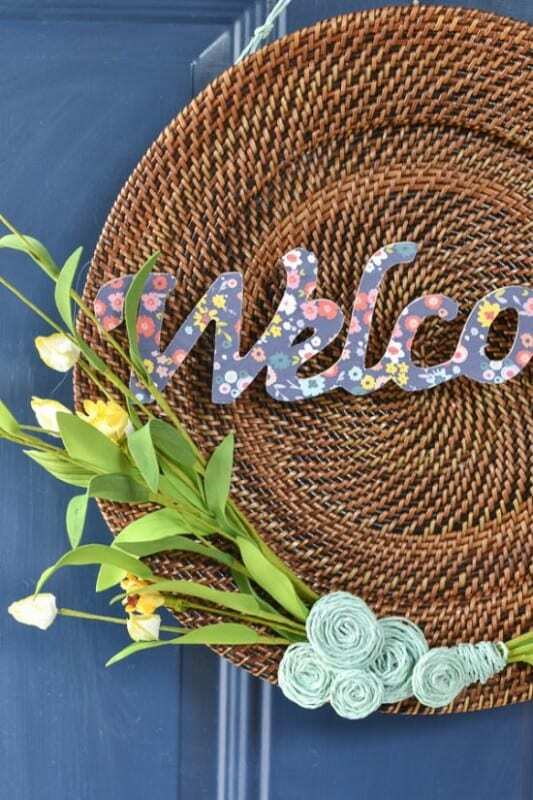 And one more easy spring DIY: Refresh Living made this cute “wreath” door hanger from a woven plate charger — isn’t is so cute! 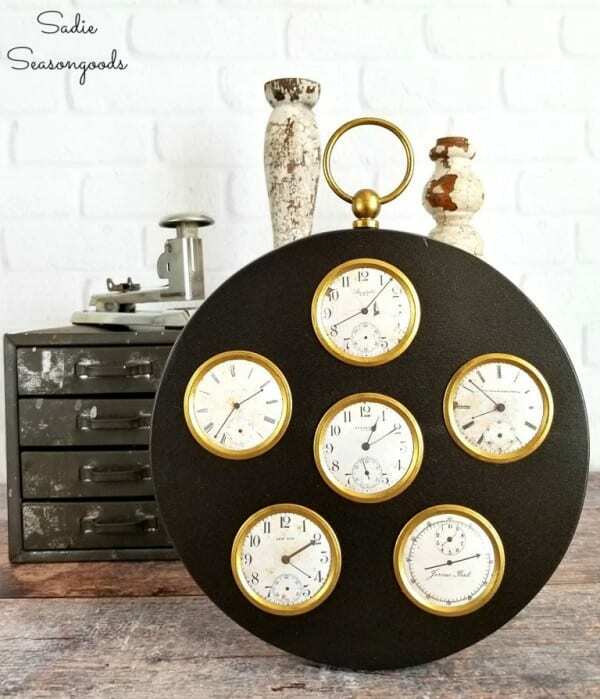 Favorite whatchamacallit: I certainly never would have thought twice about leaving this oddball frame on the thrift store shelf, but Sadie Seasongoods saw its potential and snatched it up to make into a jumbo pocketwatch. Such a unique fun piece now! 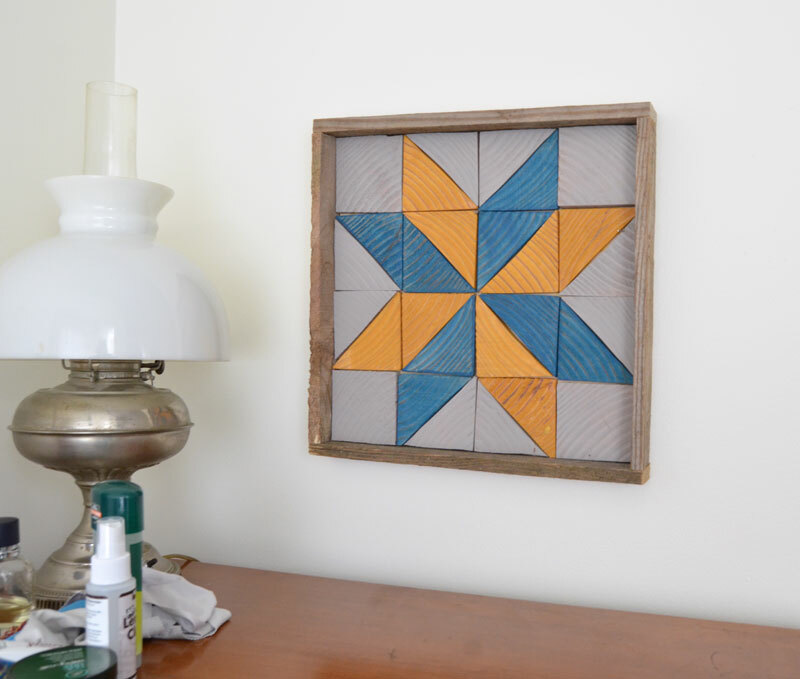 Favorite scrap project: We always have plenty of scraps, and I love the vintage style of this wood wall quilt tray that Create and Babble made! An easy way to use up scraps and add color to the walls, too. 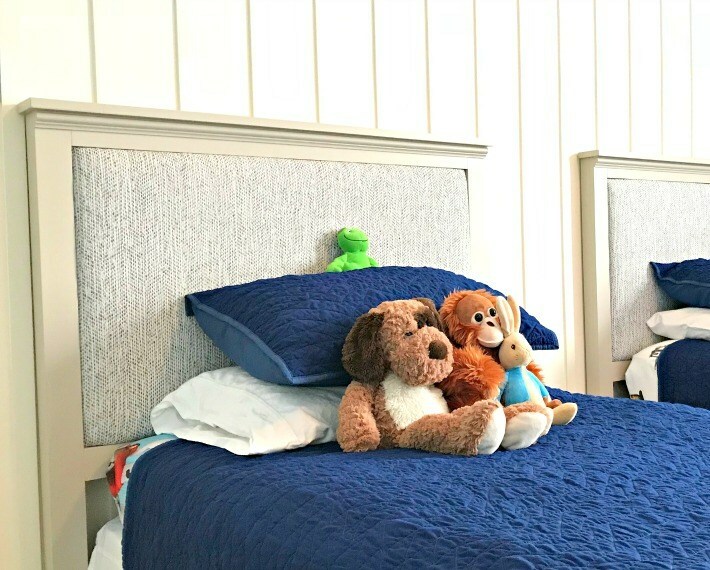 Favorite headboard: We have a HUGE thing for headboards (like huge huge, see our favorites here and here and here… and more here) and Abbotts at Home combined the cushy comfort of an upholstered headboard with the sturdy beauty of a wood headboard in these twin headboards for her kiddos. Love the fabric choice, too! 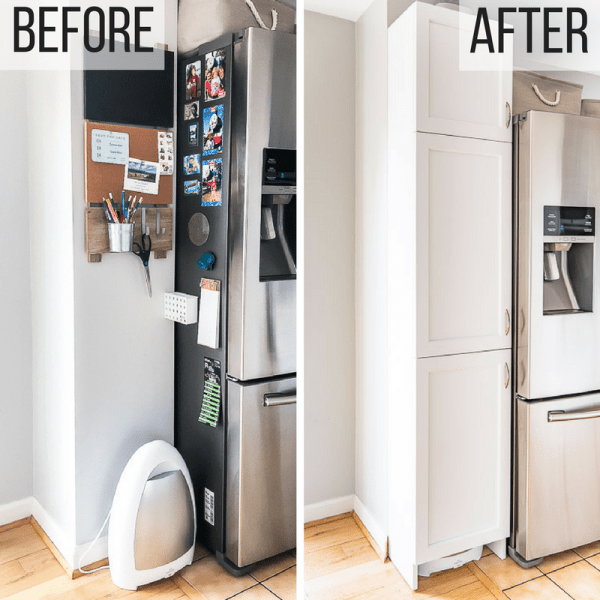 Favorite new twist for a classic DIY: Using a cookie sheet as a magnet board is a smart, affordable hack — but it still looks like a cookie sheet, y’know? 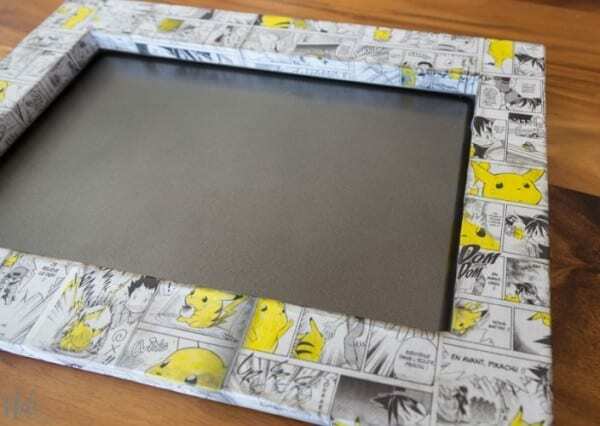 Well, Neli Design updated hers with a frame so you’d never guess it’s a cookie sheet! My kiddos are going to love this. Favorite hideaway: I have been wanting one of these automatic vacuums since I first saw it on Facebook a couple of years ago, and The Handyman’s Daughter built a pantry in an awkward spot in her kitchen for added storage AND hiding away one of those little vacuums. So smart! Favorite barn doors: Yes, there’s a new favorite barn door every week, too! 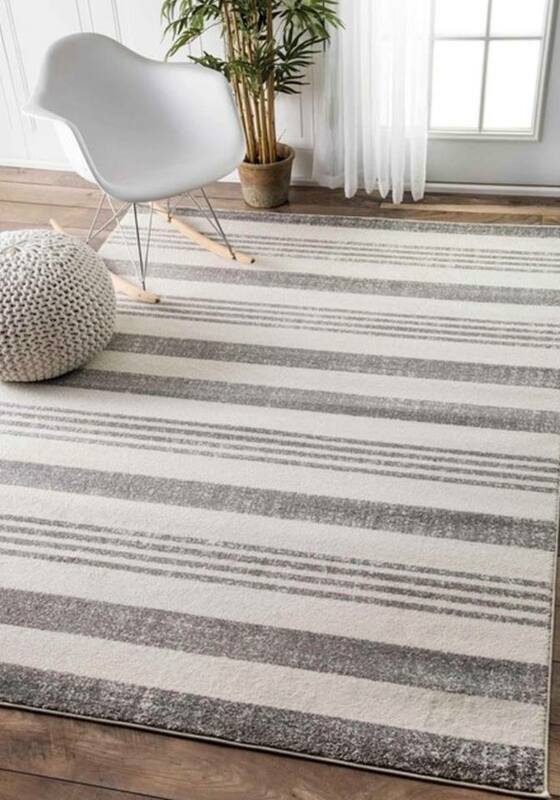 (See our roundup of favorites here.) 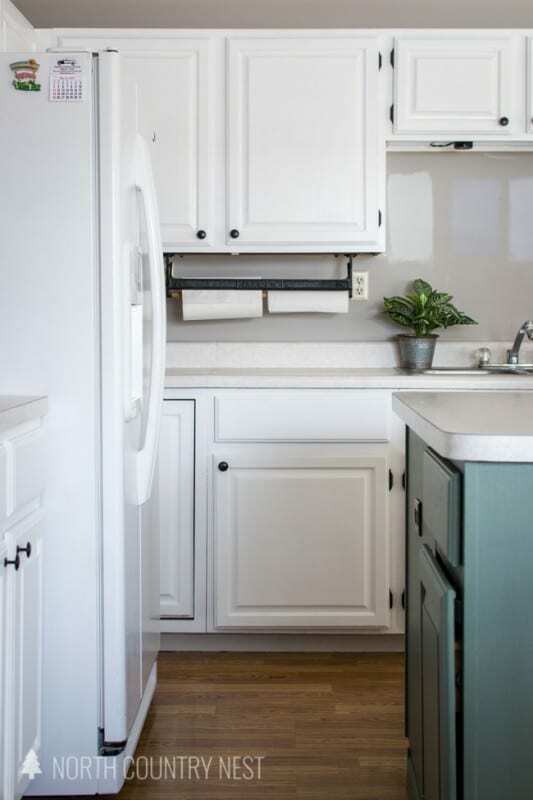 I love seeing the new twists and creative looks people are creating by using rolling barn doors instead of pocket doors (which we are also big fans of). Isn’t this bypass set of double barn doors by @ourfauxfamhouse amazing! 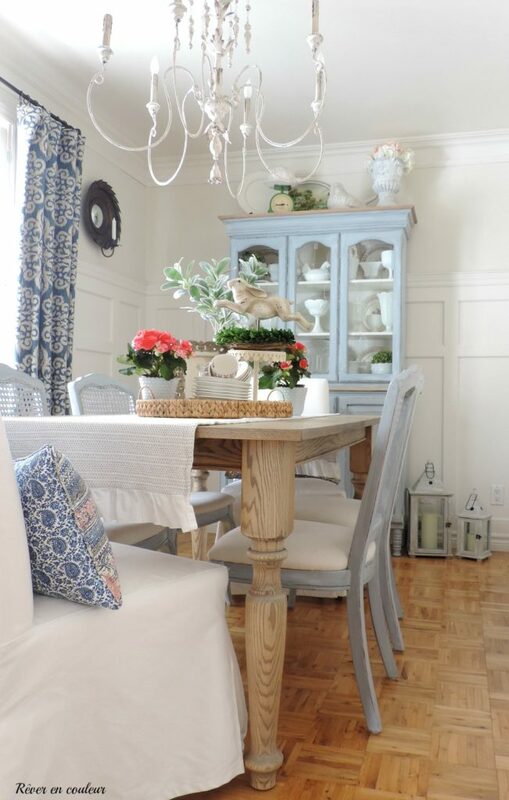 Come share your latest and your greatest home and DIY projects — we love to see and feature YOU! 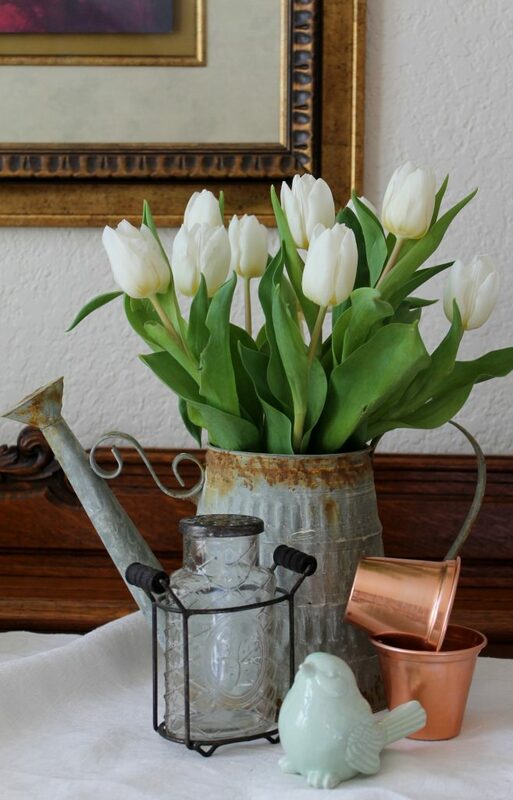 There will be a new party with features and additional Friday Favorites every FRIDAY here on Remodelaholic — can’t wait to see what you’ve been up to! Share up to FIVE of your latest and/or greatest posts — just share different posts each week, please — and remember to come join our new Facebook group to share since this is the last week of the link party! 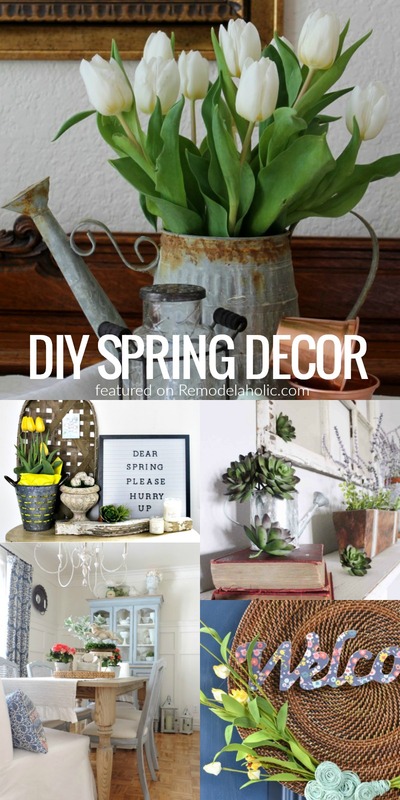 The post Friday Favorites: Signs of Spring and Decor Finds appeared first on Remodelaholic. Chandra Lockey is a minimalist. She loves coffee, books and birds.